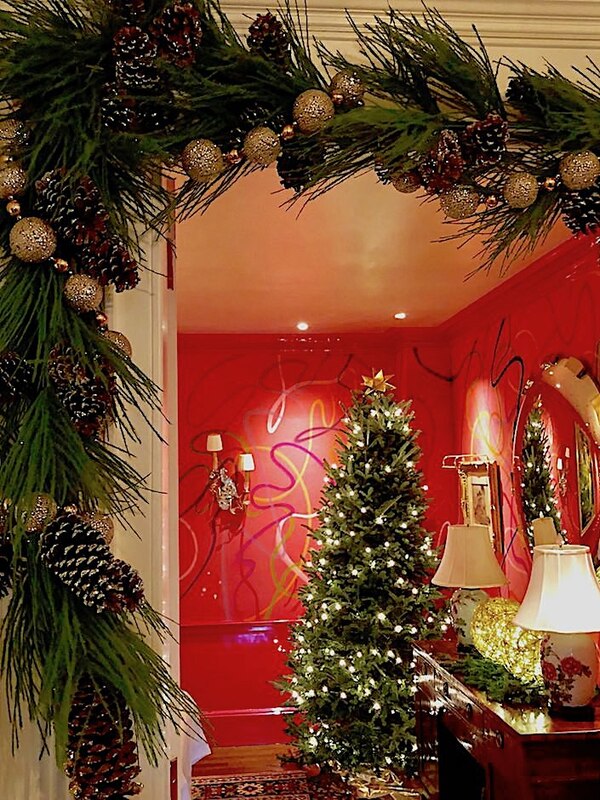 Friend, designer Phillip Thomas loves the holidays and so earlier this week I stopped by to see what he was cooking up for his family’s Fifth Avenue apartment. 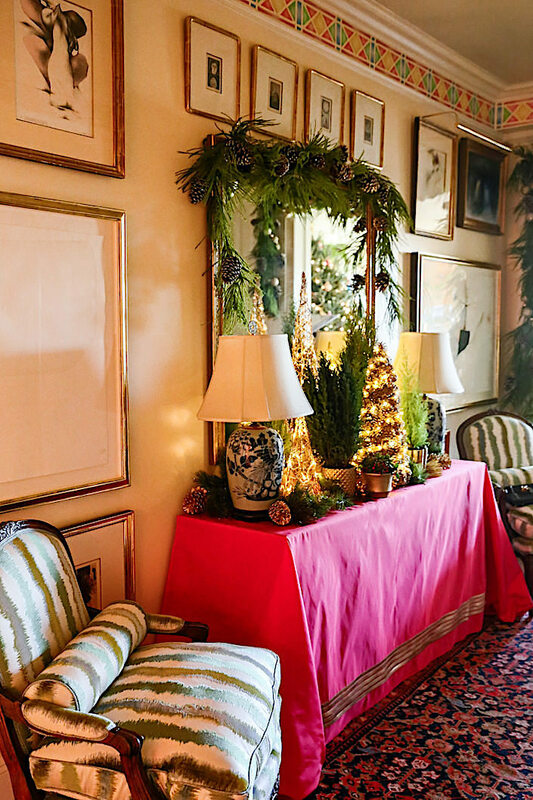 In a lovely prewar building overlooking Central Park, Phillip has embellished the apartment with a festive combination of greens and just enough sparkle. Against the glossy black and polished brass, the front door, above, sets the tone. Step inside and the magic begins in the gallery where Phillip transformed a marble top console with a silk taffeta cover to literally deck the hall! 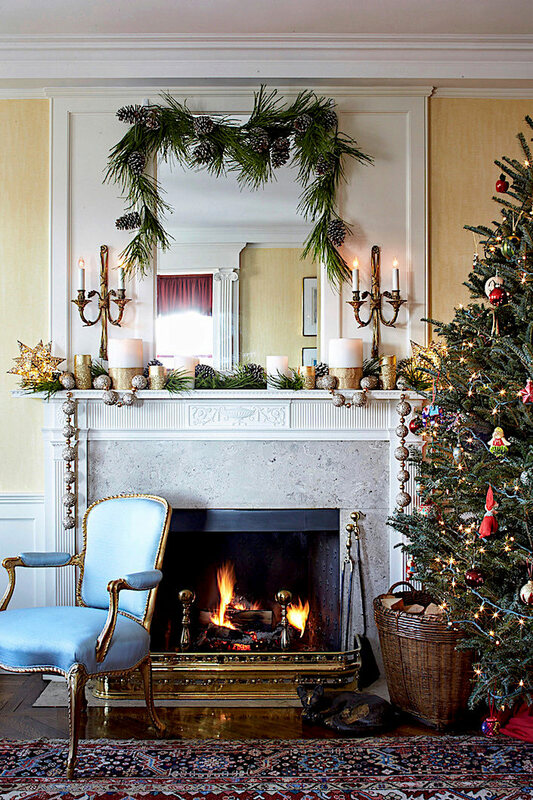 Phillip’s parents entertain frequently so in order to give the decorations longevity, he mixed faux with fresh and gold and silver with greens to imbue the apartment with that special holiday glow. 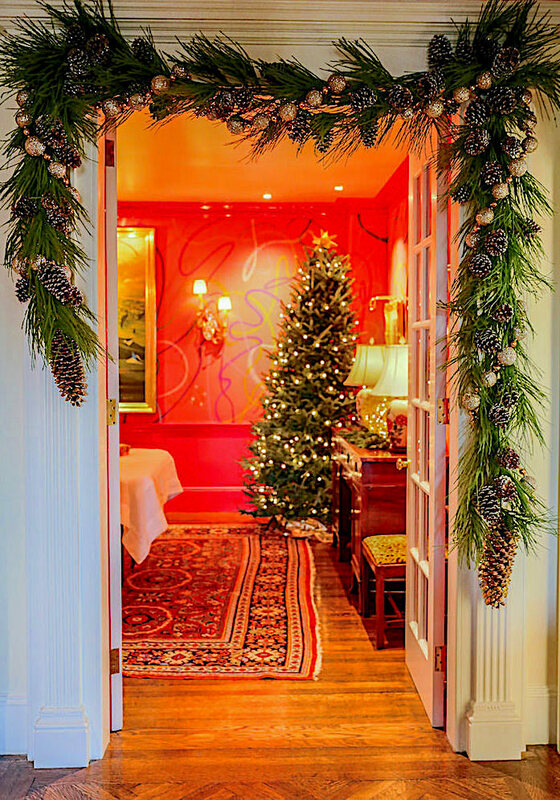 Phillip fashioned three textural faux garlands together to adorn the door casings, enhanced with lengths of jewel-like balls. He feels Christmas is the time when you can go a little over the top with an extra dose of sparkle. 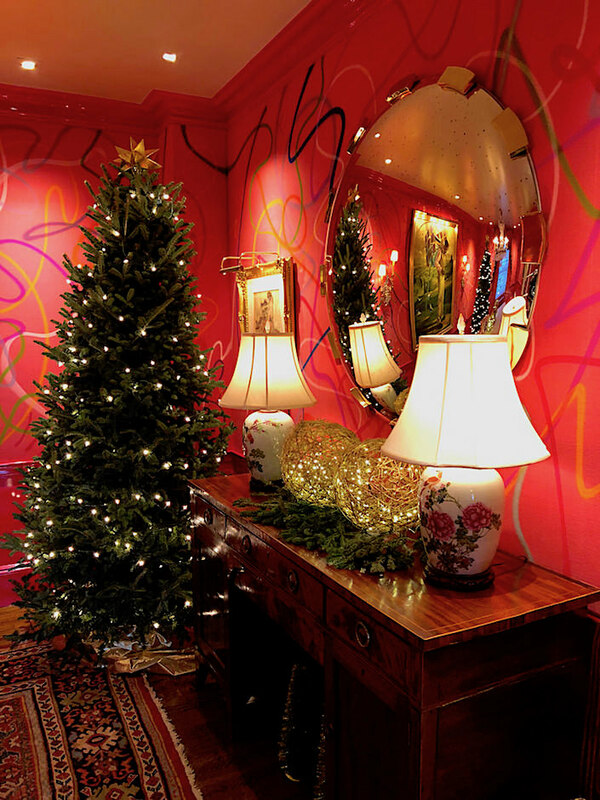 Hung asymmetrically, they frame the dining room which mixes traditional furnishings with a whimsical graffiti wall treatment reminiscent of Phillip’s Kips Bay room last year. 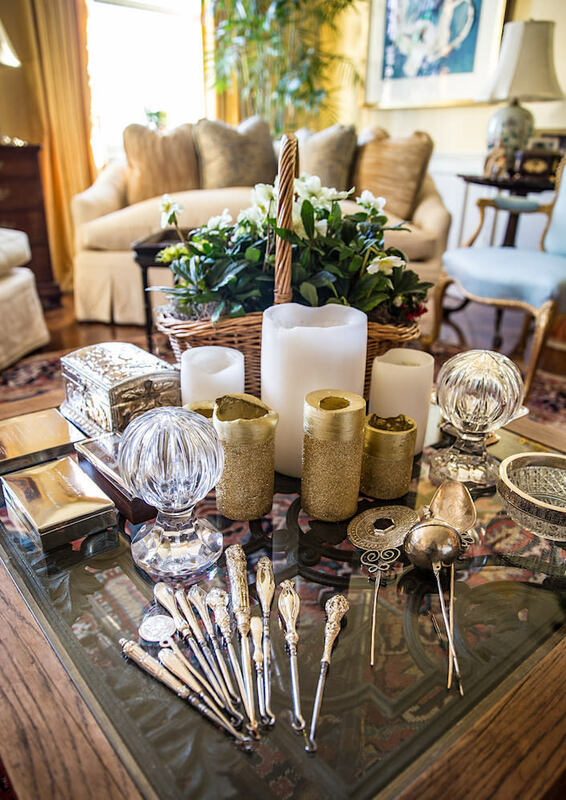 Phillip loves adding unique handcrafted touches like the spheres on the sideboard which he found at Jamali Garden, spray painted gold and lit from within with tiny white lights. 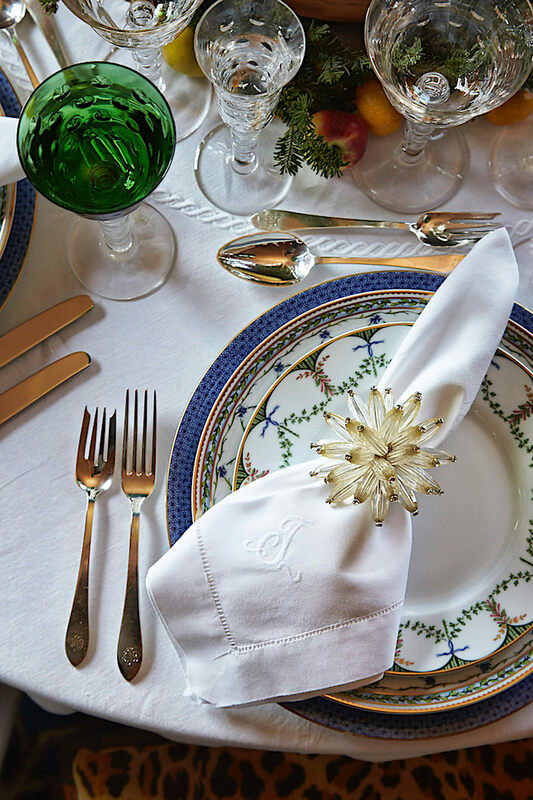 with an elegant festive tablesetting. I actually own the same classic French Raynaud Festivite dessert plates (sadly discontinued), and this reminded me to pull them out for the holidays! 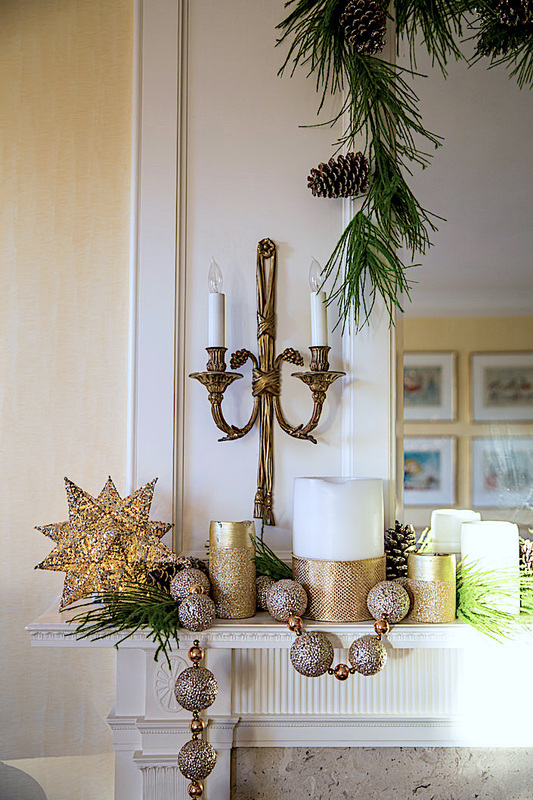 Simple gold swags add a little holiday luster in the bookcases. Don’t let all those specialty serving pieces accumulate dust in your cupboards – bring them out to use and enjoy. Nothing is too special or precious for the holidays! 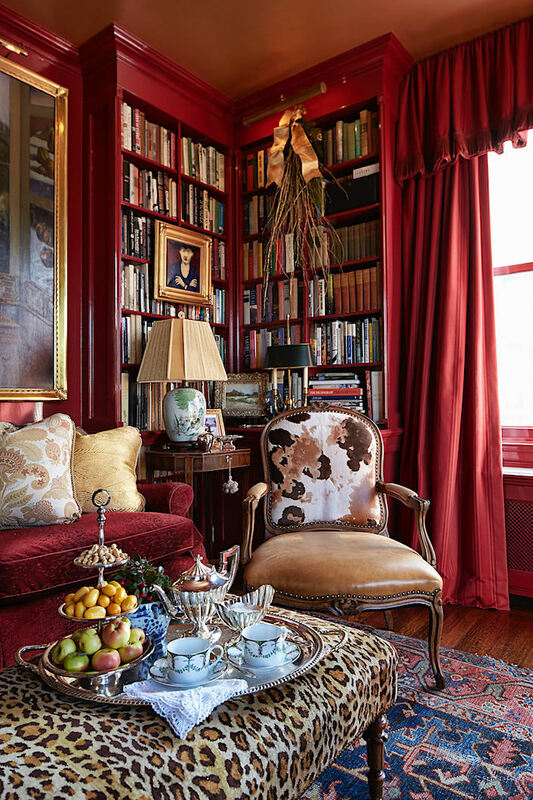 And as for decor, this room is a great reminder how leopard is a go-anywhere neutral and how timeless antiques can be updated in so many creative ways as Phillip did with this classic fauteuil. 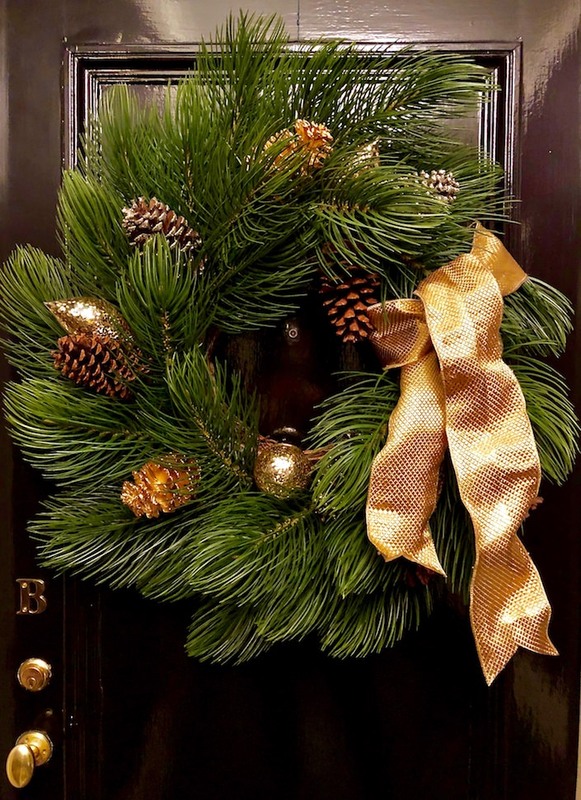 Thank you Phillip for inviting us in – your family’s apartment is definitely putting us in the holiday mood! 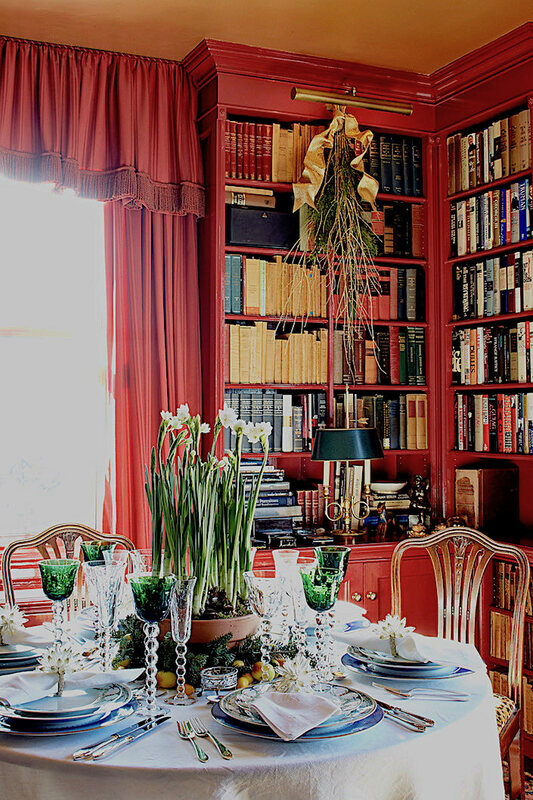 This entry posted in holiday, interior design. 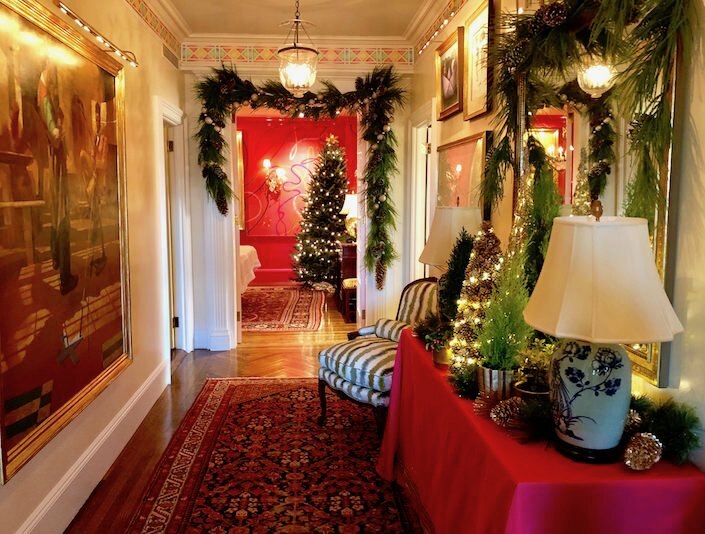 Entry Tags: Christmas, Christmas decorating, Fifth avenue apartment, Holiday decorating, interior design, Phillip Thomas Bookmark the permalink. Beautifully done ! I absolutely love Phillip’s work. He has so much talent. Everything glitters and glows in a special way. Thank you for sharing. Beautiful details. Love the colors. What is the china pattern? Hi Kitty – the charger is Mottahedeh Blue Lace, the bottom plate is Raynaud Allee Royale and the top plate is Raynaud Festivite (sadly discontinued). Love to see Phillip’s hand on this most festive of occasions. 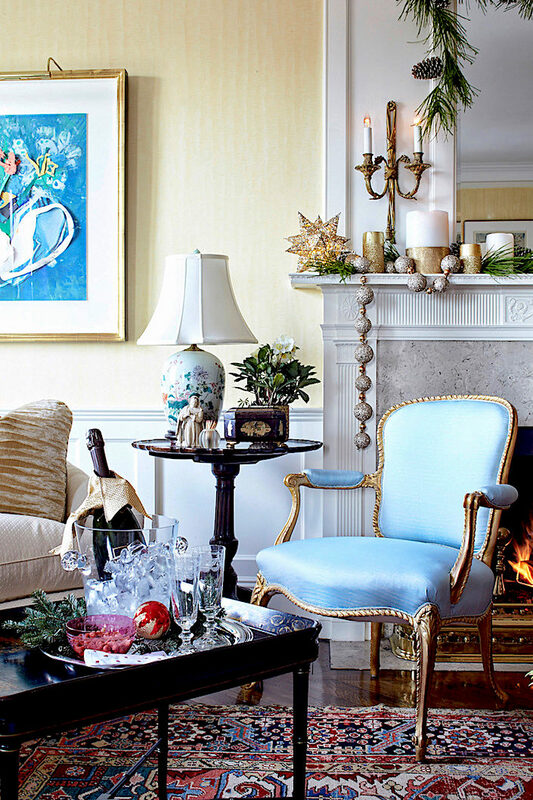 Everything sparkles with joy, beauty and warmth creating such a welcoming atmosphere. It is great to see how our “son” Phillip decorated this year the family apartment where we once spent a marvelous New Year´s Eve. Congratulations and a great future to him! Year is almost over, but looking at Phillip’s creation, brought me back to Christmas. Congratulations for a beautiful job, nobody like you!! 83 queries in 0.546 seconds.